Before the Iron Age, Iron has been found in both the West and the East treated as a precious object that was more valuable than gold. Recently, the debate over whether these rare objects were meteorites has been settled. They are indeed meteorites that fell from the havens and thus were regarded as gifts from the gods and thus more valuable than gold. Pictured here is the famous Stone of Emesa, which is the modern city of Homs in Western Syria. This was a meteorite that fell to earth and they built a temple to it. 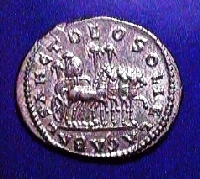 The Roman Emperor Elagabalus (218-232AD) paraded it around in a chariot and pictured it on his coins. Throughout history, there has never been a single relationship that ever withstands the test of time and circumstance. This is where there can be no gold standard where you fix the price of gold yet everything else floats. The mere fact that coins were minted of gold and silver does not make it a “standard” for they were free floating in value – never fixed. 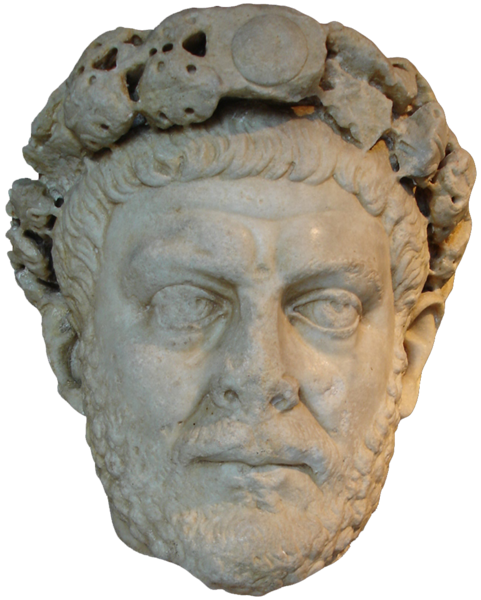 Diocletian (284-305AD) attempted Wage and Price controls to stop inflation. They too failed. What we face is a serious issue – the monetary collapse. A medium of change can be anything for it only facilitates barter. In many third world economies, people still barter. You do this and I will do that. Labor and food have served as the medium of exchange more so than anything else. If we understand this, then we can move forward. The future lies with the elimination of taxes, state borrowing, and term limits. Do those three things and we will restore liberty, justice, and economic freedom to all.